Topeka ? 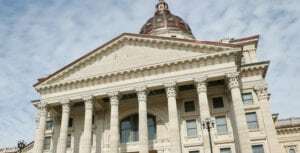 A major rating agency on Tuesday downgraded Kansas’ credit rating for the second time in two years because of the state’s budget problems. S & P Global Ratings dropped its rating for Kansas to AA-, from AA, three months after putting the state on a negative credit watch. S & P also dropped the state’s credit rating in August 2014. Forty-one states now have a higher rating from S & P, and only three — Illinois, New Jersey and Kentucky — have worse ratings. 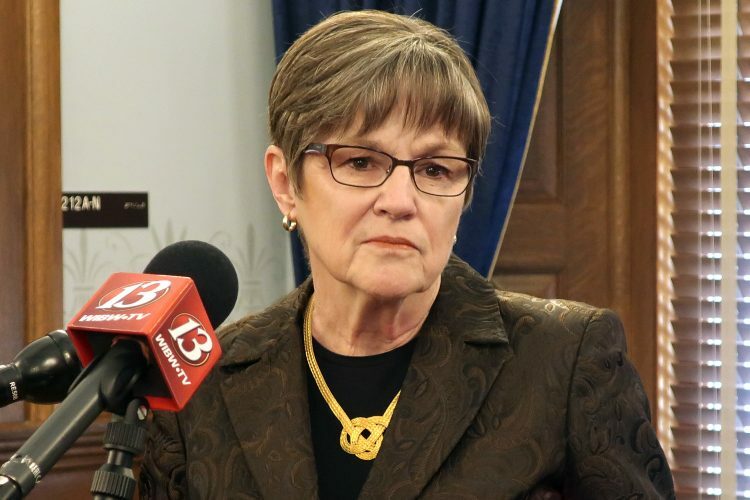 The ratings agency cited the state’s lack of cash reserves, even after multiple rounds of budget adjustments over the past year. “The downgrade reflects what we believe to be structural budget pressures,” S & P credit analyst David Hitchcock said in the agency’s statement. Kansas has struggled to balance its budget since Republican Gov. 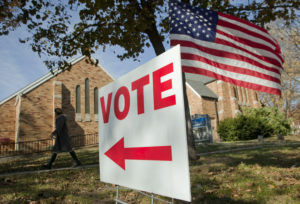 Sam Brownback successfully pushed the GOP-dominated Legislature to slash personal income taxes in 2012 and 2013 in an effort to stimulate the state’s economy. Brownback blames continuing shortfalls in monthly tax collections on slumps in agriculture, energy production and aircraft manufacturing and argues that the tax cuts have blunted the effects of broader economic trends. His administration also has noted the state’s low unemployment rate — 3.8 percent in June. The S & P report cites the state’s ongoing diversion funds for highway projects to general government programs and says the state continues to underfund pensions for teachers and government workers. 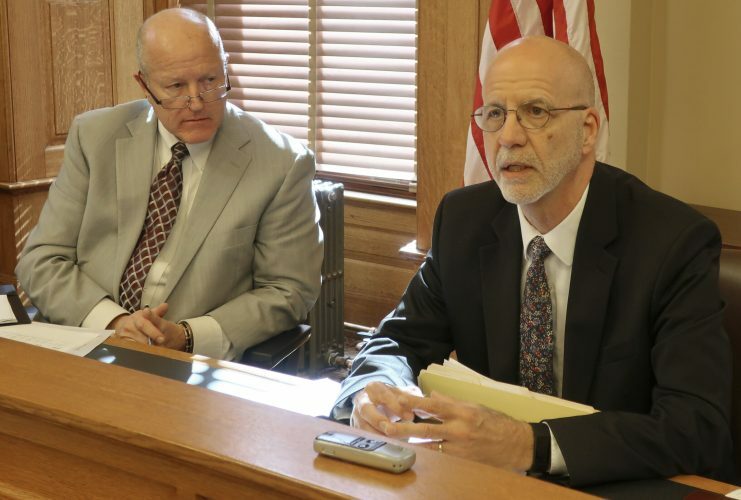 State Budget Director Shawn Sullivan said he takes issues with both criticisms but acknowledged during an interview that Kansas must do more to bring spending and revenues in line with each other. He also said the state needs to build up cash reserves that have been depleted by shortfalls in tax collections. 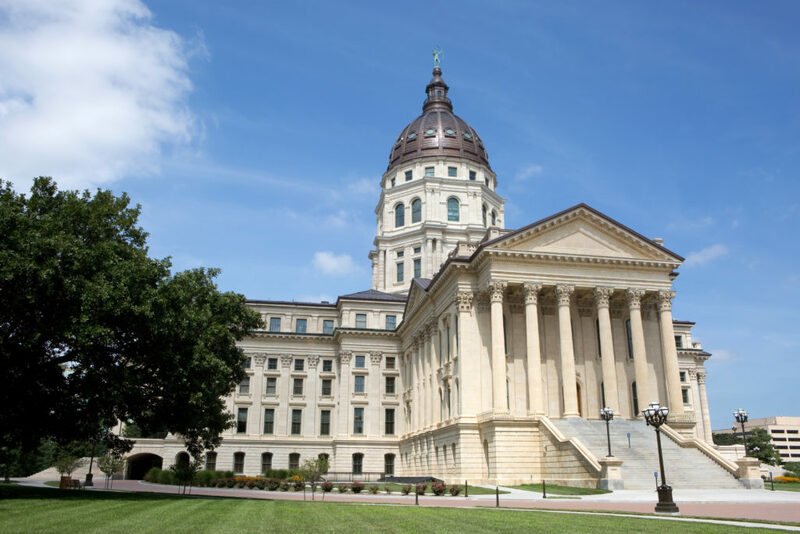 Brownback spokeswoman Eileen Hawley said in a statement that the governor would work with lawmakers “to address to address higher than anticipated government expenditures, caused in part” by state Supreme Court orders on school funding. Another major ratings agency, Moody’s Investors Services, changed its credit outlook for Kansas in May to “negative” while affirming its rating of Aa2. Moody’s also downgraded Kansas’ rating in 2014. On S & P’s scale, an AA rating still suggests that the holder’s ability to meet its financial obligations is “very strong.” Sullivan said while downgrades can increase the state’s borrowing costs, the 2014 actions didn’t and Kansas doesn’t plan any major bond issues in the near future. Both S & P and Moody’s have criticized Kansas for not bringing its revenues and spending into line with each other — and its diversion of highway funds to paper over budget problems. Sullivan said it’s unfair to see diverted highway dollars as a one-time source of funds to help balance the budget because the state has done it regularly for years. 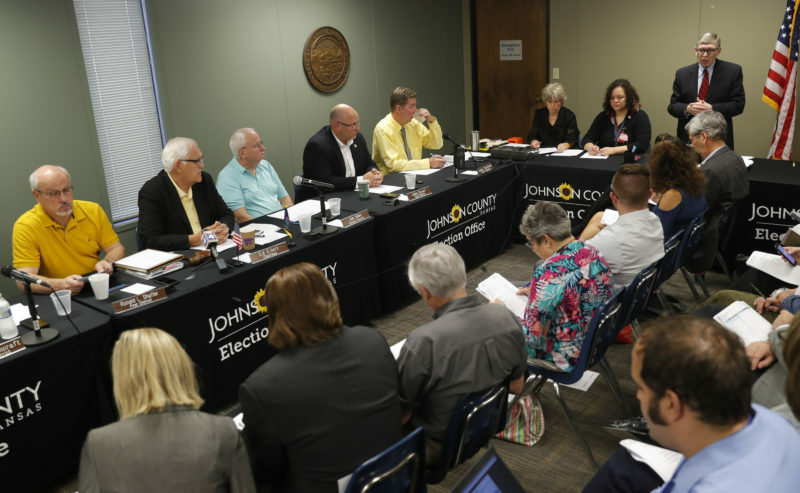 He also took issue with the criticism of Kansas for underfunding its public pension system, which includes delaying nearly $96 million in payments otherwise due under the current budget. Sullivan noted that with funding improvements mandated in 2012, the state is spending significantly more on pensions than it did in the past. “We’re being punished for years and years and years of underfunding,” he said.